A young thief has been given the disgrace of a lifetime after being paraded in public for stealing. 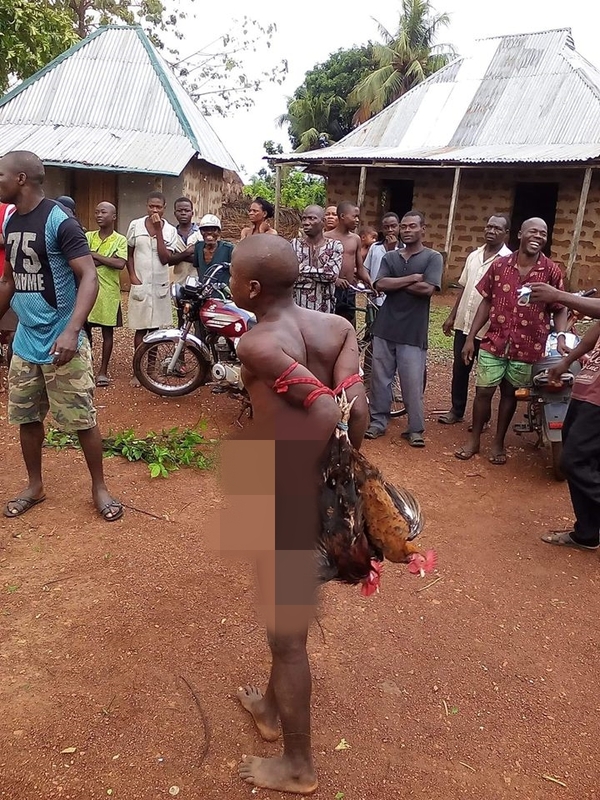 A young boy has been taught a bitter lesson after he was caught stealing chickens. The young boy was humiliated as he was forcefully stripped and paraded in public to serve as deterrent to others. The exact location in Nigeria where the incident happened has not been revealed. Facebook user Bose Adamu who shared the picture of the suspect, criticized the method of stripping thieves naked in a bid to punish them.